Restaurants and Sports Bars – An extremely competitive endevour that requires the combination of great food & drink, attentive service, and a relaxing, fun atmosphere. Conveniently, Techni-Home offers a complete array of technologies that can help to set you apart – From sub-net isolated Wi-Fi (keeping guests away from your POS), to video walls, zoned audio, security, cameras, and color changing LED lighting control – Techni-Home is your integration specialist. 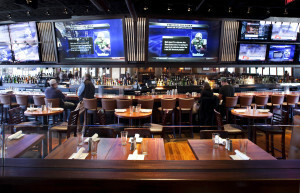 How many times have you seen the same tired installation with a cable/satellite receiver hanging out from under each TV in the bar, making it nearly impossible to change a channel without changing the TV next to it – Or – your shift manager spending more time turning on TVs and setting channels than it takes to open the rest of the restaurant? Thats why we have developed a proprietary control and A/V distribution system that allows an infinate amount of sources to be sent to an infinate amount of displays. Scalable from just a few TVs and/or projectors to hundreds, your manager can open the bar on “game day” by pressing one button! And when a customer requests a simple adjustment, it can be accomplished by a manager using an inexpensive iPod from the floor! Systems can even be further customized to announce or display shot specials or touchdowns. So – Audio, Video, Cameras, Security, WiFi, Lighting Control, and systems integration is what Techni-Home will bring to the table – The menu is up to you. Presentation Boardrooms – An environment for thought, communication, and creativity that can be used by employees or vendors to collaborate and educate without a thought about the technology being utilized to make it happen – That is the Techni-Home goal. From LED projector and drop down screen to digital whiteboard and condenser microphone PA, Techni-Home offers un-matched technical flexibility using our custom-designed control system and user interface. 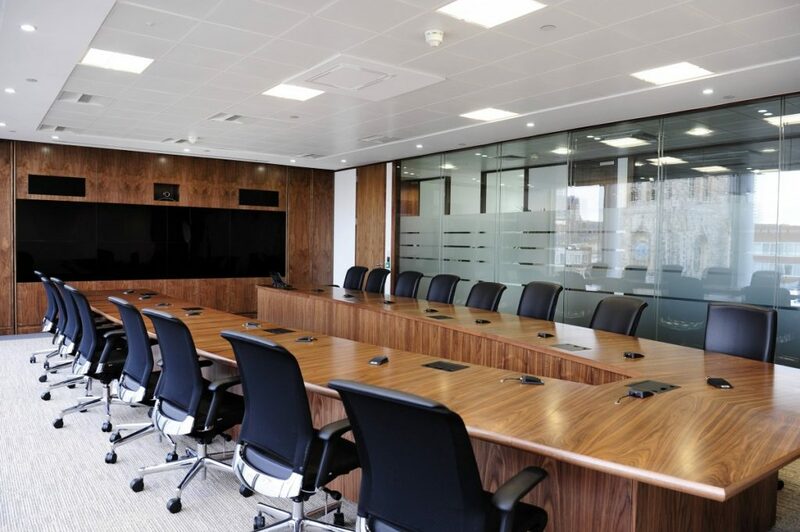 If it’s in the boardroom you need media presentation capability, we’ve got it! A computer-integrated projector, screen, audio and lighting control can be connected to a desktop portal to create an exciting, eye-opening presentation right in your office! Business-building has never been more important than it is today – and Techni-Home can help you do it!